Andy Serkis has become a true force in Hollywood. Not only is he a fine actor, having appeared in movies like The Prestige and Avengers: Age of Ultron, but he is a pioneer in performance capture technology, which has changed Hollywood in recent years. Much of that started with his work on Peter Jackson's Lord of the Rings trilogy that begins with Fellowship of the Ring, in which he portrayed Gollum. However, it turns out that he almost turned down the role. The 53-year-old actor is now trying his hand at directing, with his feature debut Breathe hitting theaters very soon and is already positioned as an Oscar hopeful. While promoting the movie, Andy Serkis spoke with The Guardian and, while talking about his experience on Lord of the Rings, he revealed that he initially wasn't interested in the role. That is, until he realized the full potential in what Peter Jackson was doing. Here's what he had to say about it. "When I started doing Lord of the Rings, I liked the gamble. Originally, I heard it was going to be like doing a voice for a digital character, and I wasn't interested, but then I met Peter Jackson and he said, 'We want an actor to play the role, be on set and make decisions for that character'." The Lord of the Rings: The Fellowship of the Ring was released in 2001 and, back then, the idea of motion capture was virtually unheard of. So it's understandable that Andy Serkis might hesitate at just doing some simple voice work for a creature in a fantasy movie. 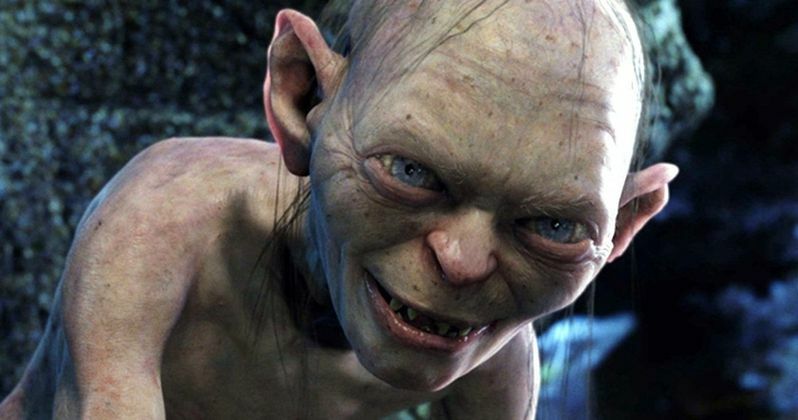 However, Serkis was truly able to bring Gollum to life and he is what makes that character work. It was later when he offered to play the role of the legendary giant ape in Peter Jackson's King Kong that he realized just how far this technology could go. "That was the epiphany because it was like: you can now play anything. Then, as the technology evolved and facial capture came into play, and [it became] total performance capture, not just motion, I realised how important it is as an actor's tool in the 21st century." This has become incredibly important technology in the industry, and technology that Andy Serkis has really helped progress. His work on the new Plant of the Apes movies as Caesar has caused many to feel his performance capture work is Oscar worthy. But all of that started when he took a chance and said yes to playing Gollum in The Lord of the Rings trilogy. This recent interview with The Guardian reveals that, had he said no, not only would his career have been different, but some of the biggest movies of the last decade or so might have been very different as well. Fortunately for us, he did say yes and we're likely to get more great performance capture work from him in the future.